Delivering comprehensive engineering and services that integrate protection, control and automation systems, pre-packaged and pre-tested to suit customers’ specific requirements. 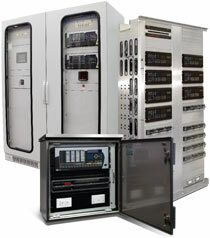 Protection & RTU Panels GE's Packaged Solutions provide fully integrated, modular solution sets comprising of engineering, design, manufacturing assembly, wiring, testing and commissioning support for protection, control and automation of power system applications. 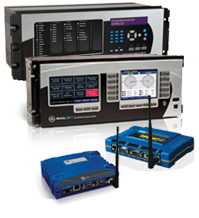 Retrofit Solutions GE designs, manufactures and supplies high quality protection, control, recording and monitoring systems for grid utilities and industries. To meet customer requirements related to network stability and reliability, we provide a comprehensive range of support and services for modernization, extension and the evolutions of systems. 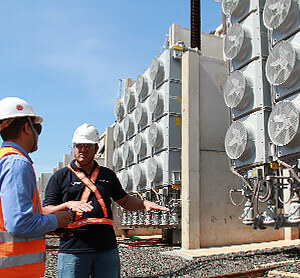 Drop in Control Houses GE’s Modular Substation Automation Systems bring together an extensive portfolio of products, services and engineering excellence to deliver the next generation of substation systems for our customers that address the challenges of legacy substation systems. Turnkey Substations GE designs and installs innovative turnkey substation from substation definition to delivery which include solution design, network analysis, engineering, procurement, civil works, installation, tests, commissioning, and asset management.